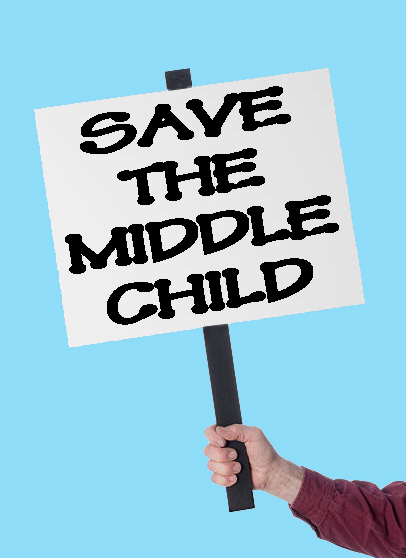 Smack Dab: A Middle Child's Blog: Our Middle Child's Days Are Numbered!! Middle Child's Day is August 12th. But how many more will we have? Maybe you read about it in the latest issue of New York Magazine in a piece called “The Extinction of the Middle Child.” Or maybe you read my blog post: “Are Middle Children an Endangered Species?” Or maybe you have no idea what I’m talking about, so let me make a long story short. MIDDLE CHILDREN ARE SCREWED! And I don’t mean in the ways we’ve always complained about for years. I’m talking end of days, screwed. Here’s the deal: all the numbers point to the ideal family size shrinking to under three, which means fewer and fewer Middle Children, until one day... I don’t even want to think about it. Let’s just say, Middle Children are a dying breed. And while this may be cause for celebration for our older and younger siblings, as founder of the International Middle Child Union, I am less than pleased. I mean, it’s hard enough meeting our annual membership goals. Without any Middle Children around, it’s probably going to be even harder. 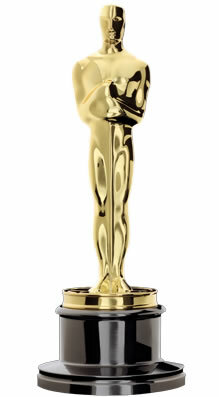 That’s why this year, I’m creating the Society for the Preservation of Middle Children. 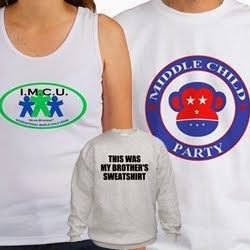 Together with the I.M.C.U, we’ll work to help raise awareness of Middle Child’s Day on August 12th. I know there’s not much we can do to convince people to have more children. But if we can get more people to acknowledge Middle Child’s Day, at least we can go out with a bang! 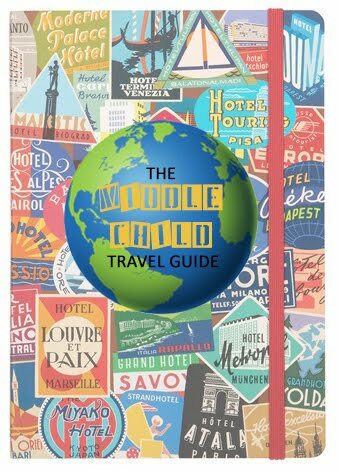 Please check back here soon for more info about Middle Child’s Day '18. I suppose overpopulation is the middle child’s fault!